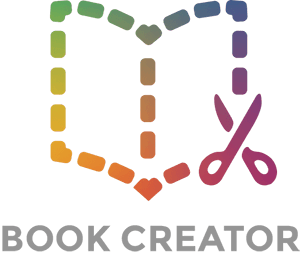 OK, let's start with the basics of making a book in Book Creator for Chrome. First you'll need to go to app.bookcreator.com and sign in. Choose whether you're a Teacher or Student and click. If you're a teacher, you'll be prompted to sign in with a Google/Office 365 account, or an email address. Students must sign in with a Google or Office 365 ID for now. You should find that when you come back to the app, you're automatically logged in. You can sign out by clicking your avatar in the top right of the toolbar. You'll be presented with your My Books bookshelf, which at this point should only contain the Getting Started tutorial book. Click the New Book button in the top left. Now you need to choose the shape of your book - portrait, square or landscape. The numbers beneath the shapes refer to the size ratio. At this point you can also choose whether to work the basic templates, or the comic templates. For this guide we're choosing a basic template. Unsurprisingly, this is where you go to add something to the page. It's also useful to know that if at any time you make a mistake, you can click the Undo button in the toolbar to undo the last action. The (i) icon is the Inspector. Any time you add content, go ahead and click on it (you'll see a blue border around it), and you can then edit that content by clicking the Inspector. For example, if you want to change the size of the text, click on the text box, then click on the Inspector and you'll get all the text options. You can also use the Inspector to change the background of the page. When nothing is selected, click on the Inspector and you'll see a set range of colours and backgrounds to choose from. If you want to delete something from your page, you can select it, click the Inspector and you'll see the Delete button. Alternatively, just select an item and press the Delete / Backspace button on your keyboard. Each book starts with three pages, and you can click the arrows on each side to move between them. If you want to add pages after page 3, just click the + button on the right of the page. You can easily toggle between Read mode and edit mode by clicking the Play button in the top right of the toolbar. Have a go at turning the pages! You can test links and play audio and video here, too. Click < Edit to go back. When you're done adding pages and content, click the < My Books button to go back to the home screen. Your book is automatically saved in your account each time you update it. But you'll want to give it a title. Click on the text beneath your book (by default it says 'A new book') and type in your own title. You can also change the author name if you need to. These basics and more are explored in our 'Getting started' webinar, below. Happy book making!